This inner city oasis is fully furnished for your comfort. It can comfortably accommodate 4 people. There is one bedroom with a queen bed, and 2 pull out sofas for another 2 guests. A portacot is available on request for your baby or toddler, at no extra cost. The apartment itself sits amongst cafes, theatres and retail stores. Te Papa is a couple minutes walk down the road. Public transport is around the corner. You will enjoy the Freeview digital TV with SKY digital. You will enjoy this with surround sound through the blu-ray DVD player. You are located downtown within easy walking distance to restaurants and nightlife, shopping, the waterfront, public transport, museums, convention centre, exhibition centre, and numerous other highlights. Breakfast is provided and all linen is provided free of charge. 3. What time will you depart and how? Great friendly host, very clean modern apartment with added benefits (I.e WiFi and Sky TV). Right in the heart of the city and walking distance to most attractions. Would definitely recommend!! This apartment was in an ideal, handy location. The apartment was very comfortable, all necessities plus, were available. Communication with host was excellent. Excellent stay. Apartment is centrally located so everything you need is located within walking distance. 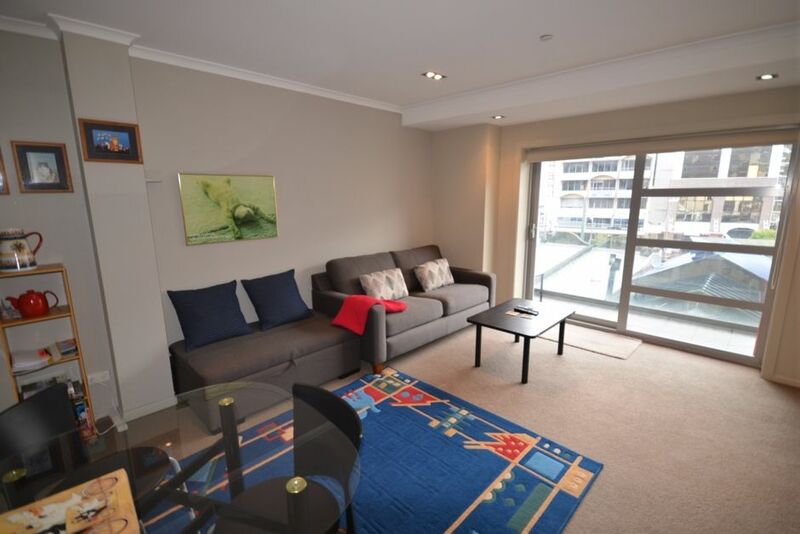 Superb appartment in the very centre of Wellington. The place is very well equiped and made us feel like home. The location is great, very close to the water front, Te Papa museum, Cuba Street . The location is great, very close to the water front, Te Papa museum, Cuba Street ...The apartment is modern and comfortable.